Targeted marketing, or marketing specifically to the right people for your brand, is not new. But the method of targeted marketing—and the people being sought—has changed. Nothing proves this point more than the recent announcement from Twitter, which stated that the 140-character social media giant has created two distinct new methods for identifying core audiences. Once identified, these individuals can be integrated into marketing approaches via Promoted Tweets and other campaigns. The first method, called the ‘CRM Approach,’ leverages traditional customer relationship management data. 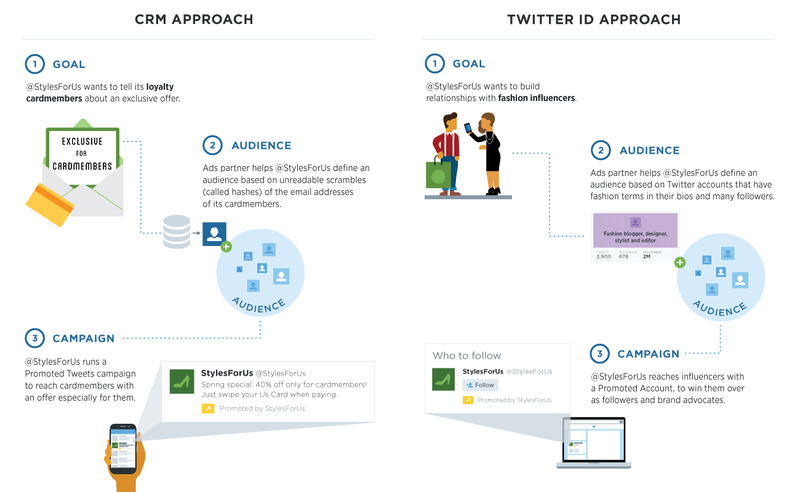 The second method however, called the ‘Twitter ID Approach,’ is what is changing the game for social media marketing professionals. With this approach, marketers will be able to find relevant social influencers—ones they would not be connected to otherwise. Decades ago, advertisers bought mailing lists with contact information of prospective customers. During the web boom, those mailing lists became emailing lists. And in 2014, companies are now on the hunt for influencer lists—accurate rankings of social contributors with influence over others. The benefit is easy to see: why spend time and resources trying to target the endless expanse of social, when you could focus on the right, key people whom others look up to? What Twitter is telling its social media marketing and advertising community is this: brand loyalty grows fastest from first determining the actions, behaviors, and people that impact others. The takeaway for these groups is to merely not fall behind the curve. Start investing in influencer marketing tools that calculate engagement, generate communication with the right people, and create more intelligent marketing strategies. Doing so will allow you to join Twitter in the evolution and revolution of targeted marketing. Want to learn how you can identify social media influencers? Click here.